Seasonal affective disorder (known as SAD) is a condition where people develop symptoms of depression every year, during the darker winter months. SAD generally only occurs in countries that have a winter with darker and shorter days, like New Zealand. A less severe condition called the winter blues is also very common. Women are more likely to be affected by SAD or the winter blues. The exact cause of SAD is unknown. However, it's thought to be caused by reduced sunlight levels. Sunlight affects the number of nerve messages that you send from your eyes to parts of the brain. The activity of nerve messages caused by sunlight affects the level of certain brain chemicals (such as serotonin) and hormones (such as melatonin). These chemicals and hormones are thought to affect your mood. So, with less sunlight in the winter months, changes in the balance of these chemicals and hormones may affect your mood and trigger a depression. The symptoms of SAD are very similar to non-seasonal depression. If your symptoms occur all year round, it's likely that you have depression. However, some symptoms are more common in SAD and less typical in non-seasonal depression. These symptoms include: a craving for sweet things, putting on weight, increased sleepiness, sleeping a lot, and feeling like your arms and legs are heavy. If you're worried about symptoms of SAD or depression, make an appointment with your general practice team. 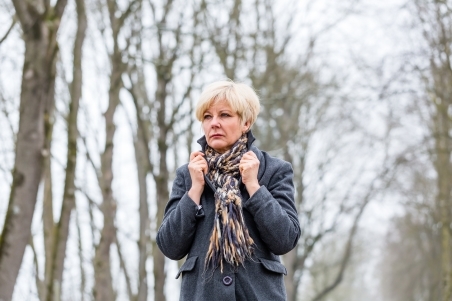 Read more about diagnosing seasonal affective disorder. Information about the winter blues and SAD. Detailed factsheet about seasonal affective disorder. Information and video about cognitive behavioural therapy. Information about these antidepressants, which are often used to treat SAD. Written by HealthInfo clinical advisers. Last reviewed April 2018. Last updated January 2019.